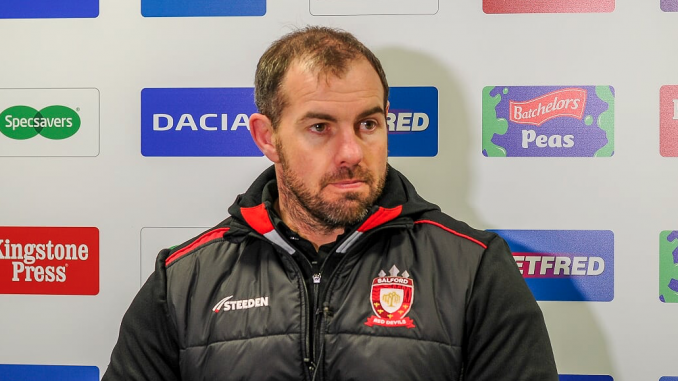 Salford coach Ian Watson continues to build his team despite the financial restrictions placed on them. The Red Devils have been forced to balance the books by losing some players, though their major news over the off-season was the retention of the impressive Jackson Hastings, who will carry a lot of their hopes on his shoulders this season. The worry for Watson is if injuries hit, the squad is thin, and with no academy to bolster those numbers, and it would appear no budget to add further numbers, it’s a risk – especially with automatic relegation back in the equation. That said, Watson has probably been one of the best pound-for-pound coach in Super League in the past few seasons, he will just need to find some more consistency than they managed last season. Watson said: “We’re probably a little bit short in a couple of areas and we’d like to boost our squad, but obviously finances dictate that. “Either way, with the squad we’ve got, I’m very confident and very excited for the season to start. “It takes time to build a team. People think you can just buy a team and throw it straight out there, but it’s about building relationships. “Over the last few years we’ve brought in Mark Flanagan, Lee Mossop, people like Rob Lui and now Jackson (Hastings) and Ken Sio, and we’ve started to add quality and build our squad.